We carry the latest tackle, rods, reels, hard baits and soft plastics. Live shrimp and pinfish are delivered on a daily basis. Stop in by water or land on your way to the boat ramp. We have live shrimp/pinfish delivered on a daily basis. 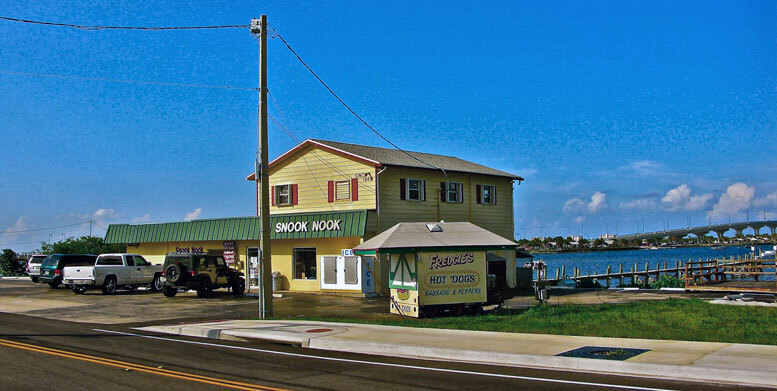 Our shop is easily accessible by water and is close to the boat ramps. We carry the latest tackle, rods, reels, hard baits and soft plastics. You name it we have it! © 2018 Snook Nook. All Rights Reserved.